For the 2016 Limited Edition of our BORDERIES VSOP, Cellar Master Patrick Léger remains faithful to the lively, mineral style which has become the hallmark of the prestigious Borderies cru. 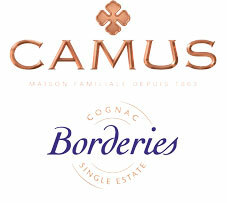 Comprising mainly wines produced on the estates of Domaines CAMUS, the BORDERIES VSOP is composed predominantly of Ugni Blanc. Achieving a delicate balance between scientific precision and artistic flair, our master distiller crafted a subtle blend of wines and light lees which, through the alchemy of distillation, have yielded an eau-de-vie of superior richness and structure. Our special oak casks, guardians of the unique aromatic personality of CAMUS Cognacs, help nurture and enhance the aromatic power and distinctive characteristics of the Borderies terroir over the course of the long, complex ageing process. CAMUS Borderies XO Family Reserve is a Single-Estate cognac which means that it is exclusively produced by CAMUS from the grape to the bottle. The CAMUS family’s private vineyards, where all the wines come from, is a magnificent estate, the largest in the Borderies area, with vineyards surrounded by forests and naturally preserved areas. The family ensures that the vineyards are cultivated in an ecologically sensitive manner preserving the environment and wildlife. When it comes to distillation, the CAMUS family has developed its own craft distillation techniques, unique to the house, enabling it to produce an extremely aromatic cognac. In CAMUS’ cellar, each barrel is unique. The wine produced from each area of the CAMUS’ vineyard is distilled and aged in separate casks. During the ageing process the eaux-de-vie are kept separately without blending them. This allows our Cellar Master to perfectly blend them and to create the authentic and very aromatic CAMUS Borderies XO Family Reserve.